Sneakersnstuff teams up with adidas to bring you the "Tee Time" collection, which consists of two pairs of shoes inspired by the sport of Golf. 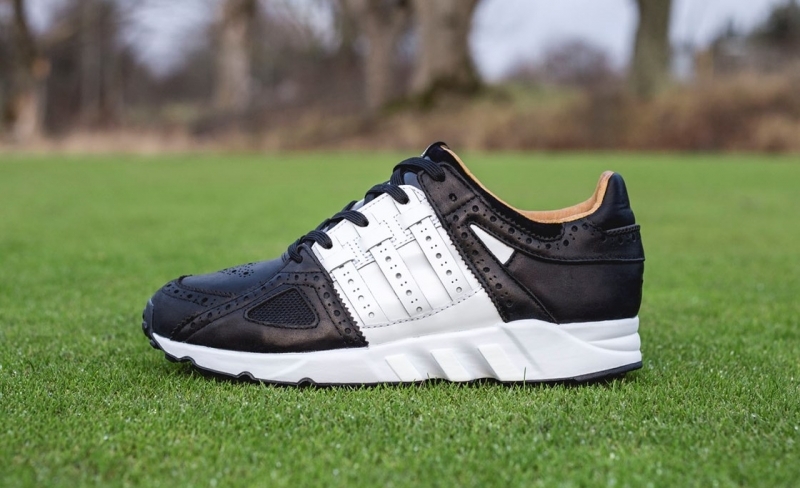 The adidas EQT Guidance 93 sports a classic golf shoe look, and is made from high-end leather. The upper trades between black and white tones, while soft, brown leather is utilized on the lining. Adding to the look is a classic brogue pattern on the tip, as well as hints of black mesh throughout.